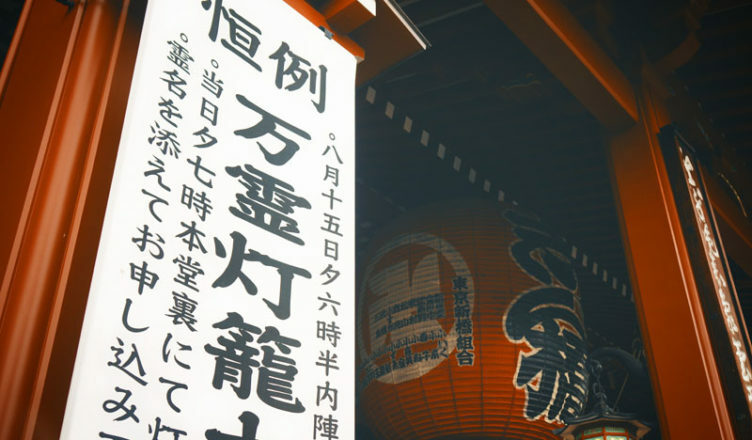 If you go sightseeing in Japan, chances are you visit both Shinto Shrines and Buddhist Temples. Your guide will explain to you that Shinto is indigenous religion of Japan, while Buddhism originated in India. You understand they are two separate things, but then you find a Shinto Shrine standing in the precinct of a Buddhist temple! That is actually very common, but you may wonder what is going on. Not many guides can explain this phenomenon very well, because it is something very normal to them and is hard to verbalize. Japanese are said to be born Shintoist, to get married in Christian style and then to die as a Buddhist. What does that mean? When a child is born, parents take the baby to a local shrine to wish for his/her healthy growth. Many Japanese prefer western style wedding, thus they choose to say their vows in front of a Christian priest. Because of Buddhist temple parishioner system enforced by Edo Shogunate in the 17th century, most of Japanese belong to a Buddhist temple, although many of them do not practice Buddhism. Family tomb is normally on the temple’s ground, so people ask the priest of their temple to perform the funeral for their ashes to rest in the family tomb. It is not rare that is the first time they see the priest of the temple. But still, that doesn’t explain why a Shinto Shrine can be standing on the ground of different religion’s temple. In a nutshell, Buddhism and Shinto got amalgamated in the process of trying to justify holy existence of Shinto deities in the context of Buddhism. Buddhism became really popular in the 12th century and they needed to explain Buddhism does not contradict with Shintoism, because some Shinto deities were former emperors and empresses of Japan. They started to tell a story that some forms of Buddhas and Bodhisattvas were manifestations of those deities. That is why a Shinto Shrine stands in Buddhist Temple’s ground. It is said that deities in those shrines protect the Buddhist temple’s precinct. Most of Japanese cannot explain why a shrine is on the temple ground. I would like to confess that I am not an exception. I first learned about it when I took a course to become a national certified guide. I always felt it was strange that people seemed to accept several religions at the same time, but I could never explain why. So, I was intrigued, but then felt it was shame this knowledge was not shared in the community. We have taken all these things granted. Hopefully it will change since there are many visitors from abroad who ask genuine questions. By that, we are given chances to reflect back our own culture and practice to appreciate it more.